Nebula Yorker (“Neb” to his friends) finds himself on the water planet of Marine in a race to recover a long-lost Triopelian Star Chart he previously never knew existed. Along the way, Neb encounters new friends and a villainous brother and sister team bent on doing whatever they must to get their hands on the star chart first – including mayhem and murder. One cocky android, one imbibed professor, one universal(ly) renowned scientist and one ice breathing sassy Water Dragon make Neb wonder whether the past 3 years travelling with Halley’s Casino was just a peaceful lull? Who will find the star chart first? What are the implications if Neb doesn’t? And what does a Water Moon have to do with all of this? John Lennon seems to know…. To read reviews, please visit Mark JG Fahey’s page on iRead Book Tours. 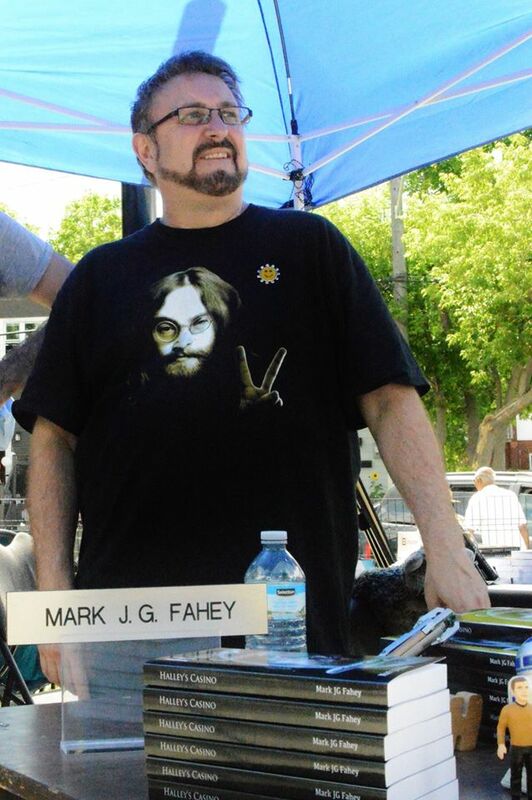 Mark JG Fahey is not an alien, contrary to what you may have heard, though he swears he has been to space. Mark has dabbled in various undertakings throughout his illustrious career, from on-air hosting/reporter/stand-up comic to messenger for the Prime Minister of Canada. Mark also holds a degree in Restaurant Services. His family and friends can attest to his excellent cooking skills. Born in Ottawa, Ontario, Canada, Mark was raised and still resides in Aylmer, Quebec, Canada. 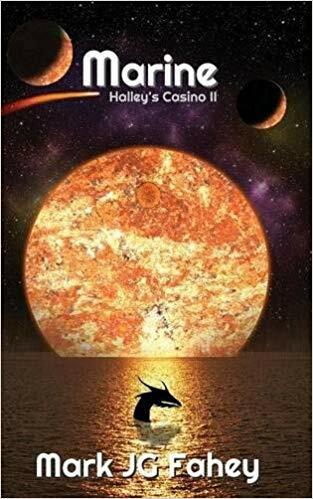 Halley’s Casino is the first book in the Halley’s Casino trilogy. Halley’s Casino: 3rd place winner in a worldwide competition with World’s Best Story 2017 . 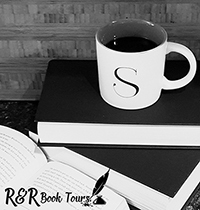 Finalist and 3rd place winner with the Independent Author Network October 2018 and is also a finalist for the inaugural Canadian Book Club Awards 2018. It has been three years since we first met Neb. He has enjoyed his time at Halley’s Casino. Then his boss Tict is threatened by two alien siblings. Neb is determined to figure out what they want when he learns of a Triopelian Star Chart that was lost long ago. He finds himself on a planet called Marine in a race to get the star chart. But there is so much more to Marine than first glance and Neb just might be the only person that will be able to survive it. I really love this series, there is so much more to it than just a scifi story. But I do want to warn you that you should read the trilogy in order. You jump right into the story with little background of Halley’s Casino. Neb is a special person but only a couple people know the truth about him. This comes into play when everyone is trying to get the Star Chart. I love the new characters you me, especially sassy Purell. You can never have too much snark for a story like this one. I also liked learning more about Neb’s parent too. There is a lot happening but you won’t be overwhelmed trying to keep up with the story. This is a great scifi series that will appeal to teens and up. I recommend checking it out even if you are not a scifi person, I think you will enjoy it as much as me. I received a complimentary copy of this book. I voluntarily chose to read and post an honest review. I would like to thank iRead Book Tours for the opportunity to read and share this book.